Happy almost 2013! I’m getting an early start on 2013 charity knitting and cooking to celebrate. 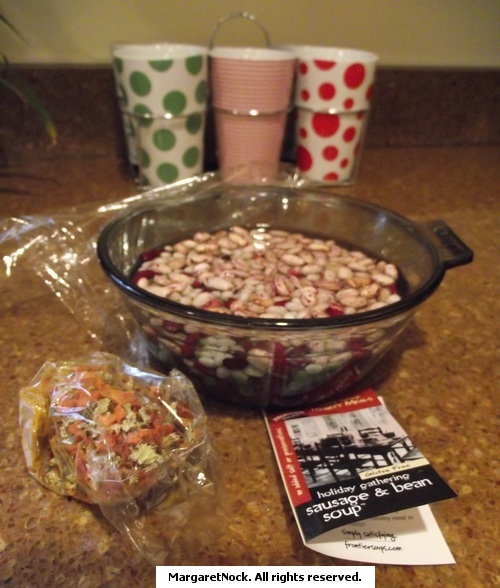 The cowls are for Annie’s Gifts for Chemo and the cooking is for the cold blustery new years day coming our way. I cast 40 sts on US size 9 needles with Lion Brand Yarn Wool Ease (worsted weight) in a simple garter stitch in three different colors and then joined after about 18″. If you decided to switch to another stitch pattern in the center, for instance, make sure you have the proper amount of stitches to incorporate it. 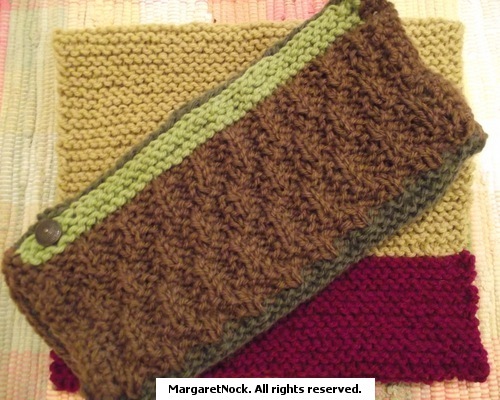 What could be more inviting than a comfy warm and wonderful cowl and quick stash buster for the new year? Add a button, experiment with color and allow your imagination and creativity to guide you. 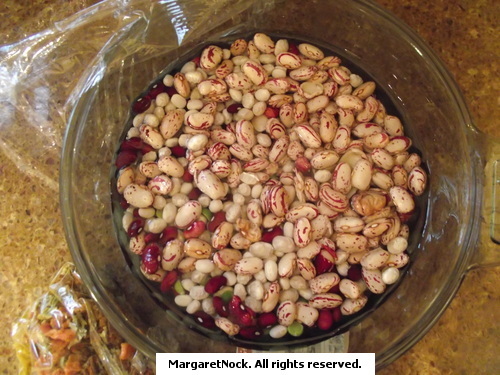 The beans and mix for the soup is from Frontier Soups (sausage and bean soup) It’s a tasty start to the new year, and you just add a few extra ingredients with spicey sausage (or go vegetarian). It will be a great meal for a cold wintery day. Celebrate, reflect and start the year with gusto…toss out the old and disfunctional and bring in the new possibilities. 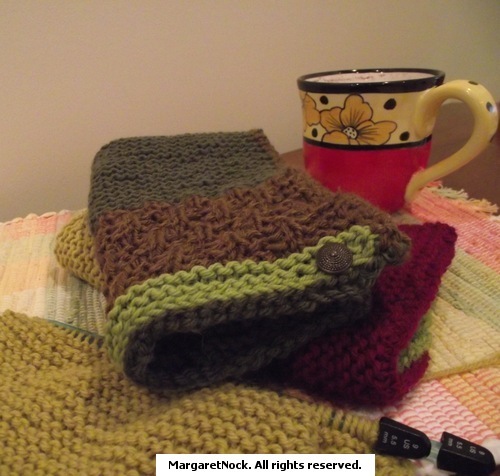 This entry was written by knit1fortheroad, posted on December 31, 2012 at 7:37 pm, filed under free patterns, inspiration, Knit and Crochet Charities, knitting and tagged Annie's Gifts for Chemo, charity knitting, cowl, Frontier Soups, garter stitch, Wool Ease. Bookmark the permalink. Follow any comments here with the RSS feed for this post. Post a comment or leave a trackback: Trackback URL.